Sensor-Technik Wiedemann introduces the new ESX-TC3 controller with board support package v2.2. 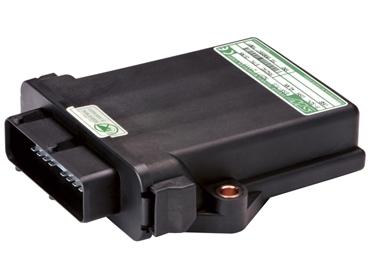 The Linux-based teleservice module, ESX-TC3 from Sensor-Technik Wiedemann GmbH is designed from the ground up for mobile machines and industrial vehicles with the robust, sealed construction and ability to withstand extreme conditions making it ideal for use in agriculture, construction and mining applications. The supplied multi-tasking operating system is the foundation for the application software, which is quickly realised in an open source development environment. The hardware offers two CAN interfaces and RS232, Ethernet, and USB-host interfaces. Quad-band GSM/GPRS, Wi-Fi and Bluetooth are available as options. An optional GPS receiver continuously provides the current position. Data memory of 1 GB is provided for data logging functions, and the collected data can be retrieved via any of the cabled or wireless interfaces. STW’s ESX-TC3 controllers are typically used for logging individually time stamped CAN signals and GPS positions before transferring the data via the GSM network to a server and subsequently the internet, where the GPS data is overlaid on the map, and critical machine data is presented graphically. Reports can also be generated with a few mouse clicks. Other applications such as CAN bus access over GSM or Ethernet, remote machine diagnosis, control and monitoring of machine activity, navigation, fleet management and security are all quickly realised with existing software modules. The ESX-TC3 also enables remote software updates and machine configuration via the GSM network and other interfaces. With the ESX-TC3, Sensor-Technik Wiedemann offers OEMs a universal teleservice module, as part of a turnkey system or as freely programmable hardware for unique solutions. Sensor-Technik Wiedemann is represented in Australia by CAN Automotion .